I purchased my Dfv’s from Patrick at Urge. I highly recommend him for buying them, he is knowledgeable and is always there to answer questions. I would have an autocross review ready to go, but I was an idiot and ran the settings on the Dfv’s rather stiff, not realizing at the autocross that these work better when they are a little soft. It allows room for car control and to build grip. I should know, I’ve been driving on them pretty soft and have been amazed. Anyhow, moving past my blonde moment, I installed these myself according to the present how to’s, used Gernby’s review for setting up the shocks and bushing preload. Drove the car straight to the alignment apt I set up and had the car set to the settings below. It’s amazing how much these have improved the ride over stock. You still feel the road and can tell it sits on stiffer springs than stock, but yet it’s a smooth ride and compliant. 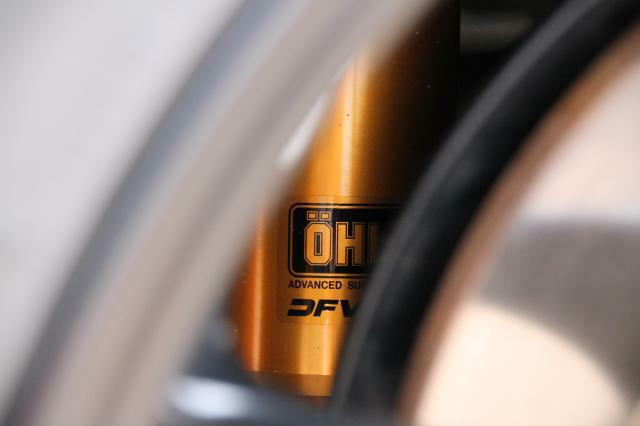 Just like these other reviews, I was hitting bumps on the road I hate to travel and laughing because of how much better the ride quality is because of the Ohlins. There’s one particular corner on my way home that is a tight sweeper. It’s on camber midway through and rolls to off camber on exit. It’s always put a good ending to my work day before I get home. After the Ohlins install, I can’t believe how much more grip is there, especially on the exit. I realize that some improvements over stock are attributes of having more camber in the front. Like the absolutely stupid amount of turn in the car has now, although I know they help in that region. Roll and pitch have been reduced, but especially the pitch during breaking or throttle inputs. I also noticed in the corner I described above that the shift to second during the corner exit is much less dramatic and easier to manage. Another autocross is coming up in September, I will actually run them softer this time.. Then update the thread again. Just got home from another autocross event. I started out with 10f/10r and felt the car was oversteering on the first run, so I went to 9f/10r and the car did improve. Left it there for the rest of the event and I'm currently having some corner entry oversteer or I'm just overdriving the car. After my first adjustment I screwed up a run, but then laid down my fastest time which was 1.5 seconds faster and winning STR by .6 seconds. Brian and I normally are separated by hundreds of a second during the day and I don't feel like I've got the car tweaked right just yet. Also ended up 8th in raw, 8th in pax which is better than my normal 11th spot, just out of the top ten when we have a large group. I still have a lot of room for improvement, as well as a little adjusting to do. I'm very happy with how these performed today, now just to become accustomed to them. I’ve been driving on them pretty soft and have been amazed. What settings are you running? Excellent write up. Having placed an order with Patrick at Urge myself, I was wondering if you were able to get the camber front and rear from the stock adjusters? Thanks! I did. The rear is at max camber for that height though. So stiffer in the rear, and if you DIDN'T drive over dips, you'd make it SOFTER? Not sure I follow that. I have run either the same click count f/r, or 1-2 more clicks from full stiff in the rear, to make the front relatively stiffer. 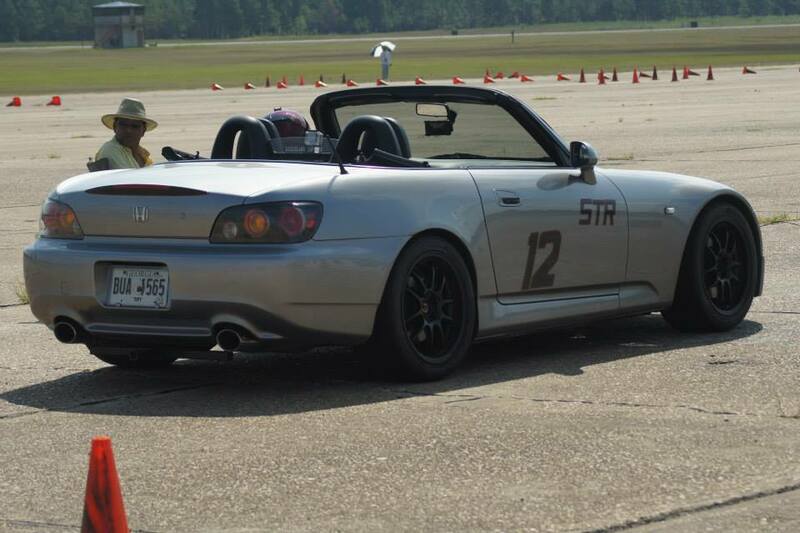 As an experiment years ago, I ran my rear shocks stiffer on an SC MR2 at an autox. The rear kept trying to pass the front. :-) So for street usage, I prefer either the same setting or slightly softer in the rear than the front. Yeah I run 10 clicks F & R for daily driving, or even as soft as 12 or so for long drives. And usually stiffen up to 8 or 9 clicks all around for the mountains/track depending on the road. For the lower speed rougher stuff staying at 10 clicks has worked best for me. But when it is rough and also high speed, stiffening to 8 or 9 clicks makes the car easier to manage in my experience. My front to rear balance is more focused around alignment and roll center so I haven't felt the need to do any major stagger front to rear with the damper settings. I drive 80 miles per work day, two of the bridges feel like they are throwing the rear into the air, so I limit the compression and rebound to solve the issue. It's a little hard to describe why, but my thoughts are if the force of the spring always pressing up and the shock slows the movement in either direction. I think that's right... It solved the issue I was having anyhow. Thanks, that'll give me a few things to try next month.